Intelligence quotient online test variant 1. 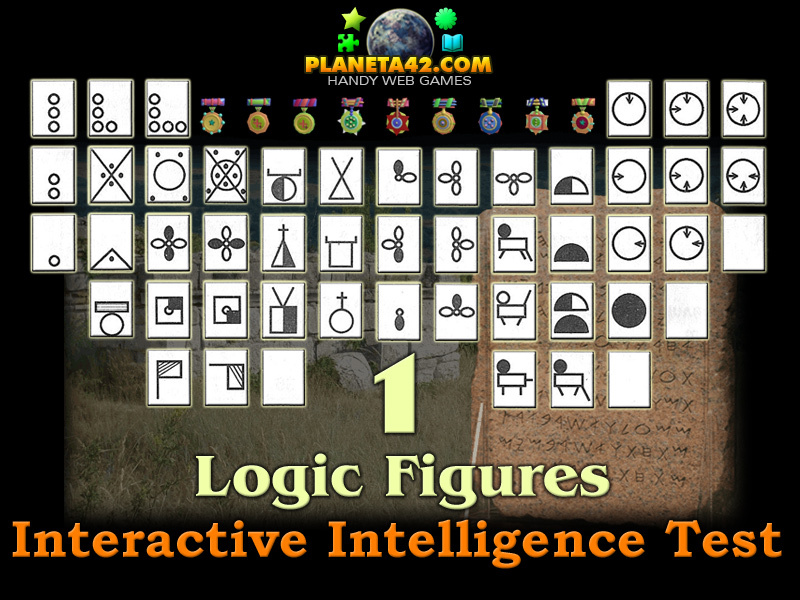 "Logic Figures" is a free online knowledge level game to train skills in Intelligence Quotient. 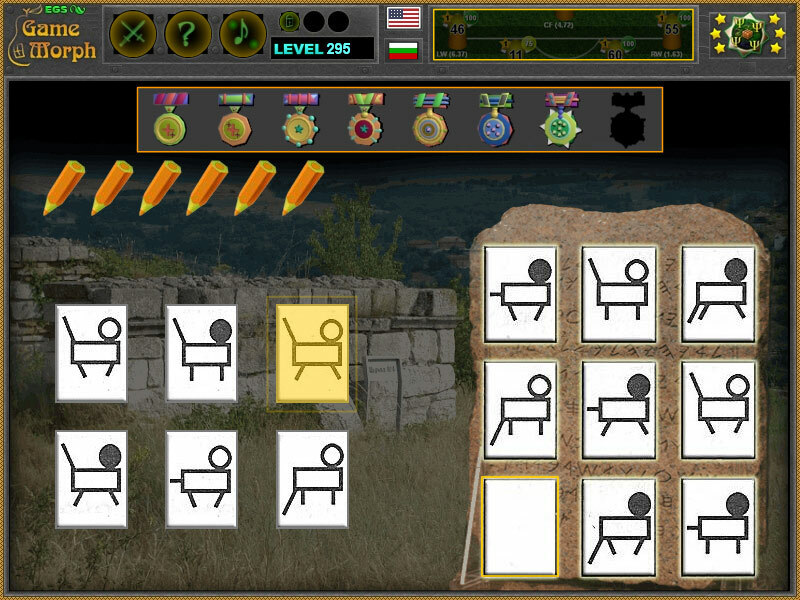 A small game puzzle for desktop computers, laptops and tablets, which may be played in the web browser. The Logic Knowledge Board include 48 logic figure tiles to play with. How to solve intelligence quotient tests with figures? What mechanisms are there to solve logic figure tests? How does the logic figures arrangement works? What kinds of logic tests are there? Where to practice for my next intelligence test? How to play Logic Figures. figures that may fill the empty slot(left of the screen). Drag and drop the correct figure in the empty slot. Often the right answers can be reduced to 2 choices, and there are 7 extra tries that gives advantage. In the real tests thought, there are no extra tries. Master the logic behind Intelligence Quotient figures.